We can help you find the best air conditioner to fit your home's needs. When considering buying a new air conditioning system, it's important to understand all the factors that affect performance and efficiency. Not every system is right for every home, which is why Jack Hall Plumbing & Heating is here to help you choose the right AC system for your needs. When you call us for air conditioning installation or replacement, we'll go over factors such as sizing, efficiency ratings, and your current ductwork system to help find the best AC system for you. Call us today for an estimate on any of air conditioning services in Glens Falls, Saratoga Springs, Queensbury and the nearby areas! A pump, called the compressor, moves a heat transfer fluid (or refrigerant) between the evaporator and the condenser. The pump forces the refrigerant through the circuit of tubing and fins in the coils. The liquid refrigerant evaporates in the indoor evaporator coil, pulling heat out of indoor air and thereby cooling the home. The hot refrigerant gas is pumped outdoors into the condenser where it reverts back to a liquid, giving up its heat to the air flowing over the condenser's metal tubing and fins. Today's air conditioners continue to improve on energy efficiency standards. Even if your air conditioner is only 10 years old, you could save as much as 20% to 40% of your cooling energy costs by replacing it with a newer, more efficient model. ENERGY STAR rated models offer the highest standard of energy efficiency, allowing for maximum savings. Each air conditioner has an energy-efficiency rating that lists how many BTUs per hour are removed for each watt of power it draws. For room air conditioners, this efficiency rating is the Energy Efficiency Ratio, or EER. For central air conditioners, it is the Seasonal Energy Efficiency Ratio, or SEER. ENERGY STAR labeled appliances have high EER and SEER ratings. Air conditioners are rated by the number of British Thermal Units (BTU) of heat they can remove per hour. Another common rating term for air conditioning size is the "ton," which is 12,000 Btu per hour. 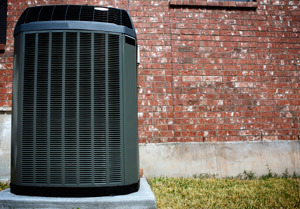 The size of air conditioner you need depends on the size of your home and how frequently you use it. It's not a good idea to just buy a large system, because it will cycle on and off too frequently. This will result in decreased efficiency and inconsistent temperatures. Our professionals can help you determine the right size for your needs. If you're ready to install a new air conditioning system in your home, the experts at Jack Hall Plumbing & Heating are here to help. We will evaluate your home and recommend the best air conditioning system for your needs. Call us today at 1-844-385-7909 or contact us online to get started with an estimate! We offer all our air conditioning services in Glens Falls, Saratoga Springs, Queensbury, Katskill Bay, Gansevoort, Greenfield Center, Ballston Spa, Hartford, Stillwater, Greenwich and throughout the surrounding areas.